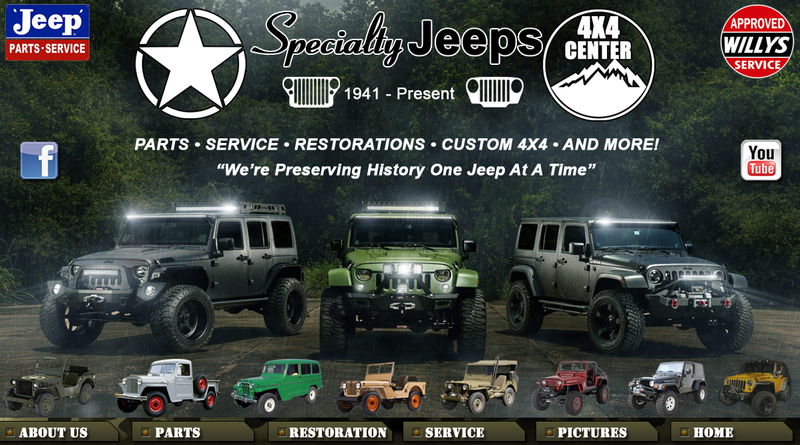 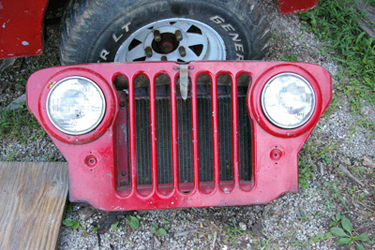 We here at Specialty Jeeps specialize in frame off ground up restorations of all models of Jeep vehicles and trailers. 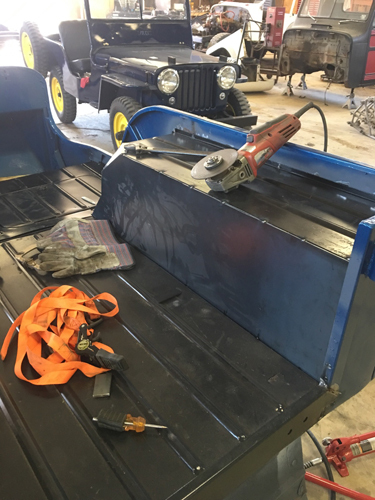 What people love about having us restore their Jeep is we keep the customer updated on the progress of the Jeep with pictures along the way. 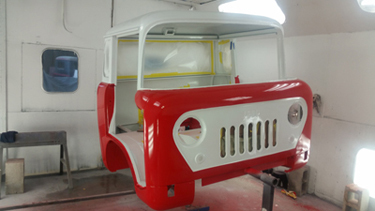 Our website is so popular and people lets us know they love the fact that we document every part being restored. 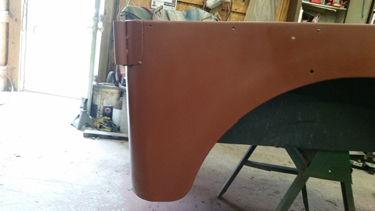 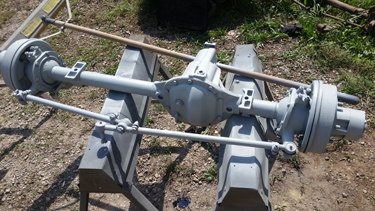 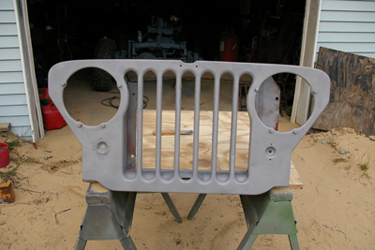 Each part is shown before, sandblasted, primed and painted. 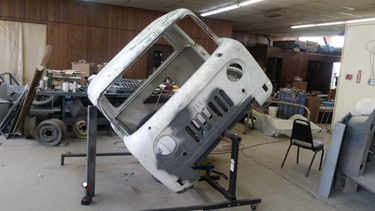 Most of the Jeeps we restore are sentimental to a family and have been in the family for many years through several generations and the family wants the Jeep restored back to how they remember it. 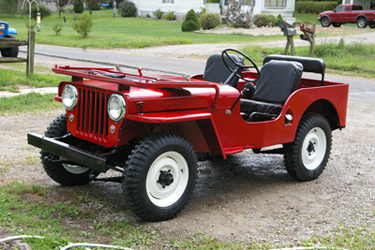 We have some customers that prefer the Jeep be restored back to it's original condition as aif it were new and some want . 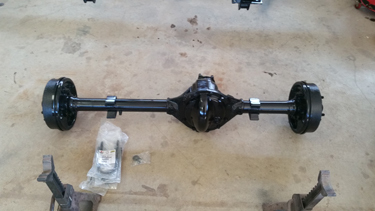 We are a dealer for all the parts manufacturers and and we also warehouse NOS (New Old Stock) parts as well.different modifications done and we will accommodate anything the customer wants. 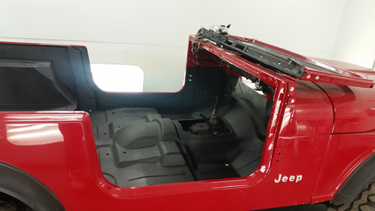 If your looking to have a Jeep restored send us pictures of your Jeep including all four sides, inside and under the hood and we can give you a price on restoring your Jeep. 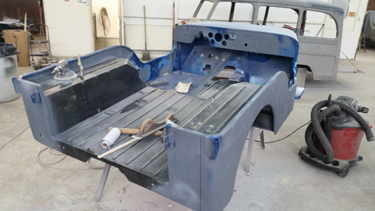 For pictures of Jeeps we have already restored go to the Pictures Section here on our website to see just some of the restorations we have performed. 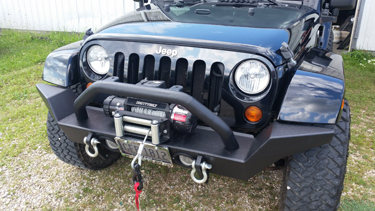 A winch on the back of a CJ2A that a customer had to have put back on the Jeep because as kids they played tug of war with the Jeep using the winch. 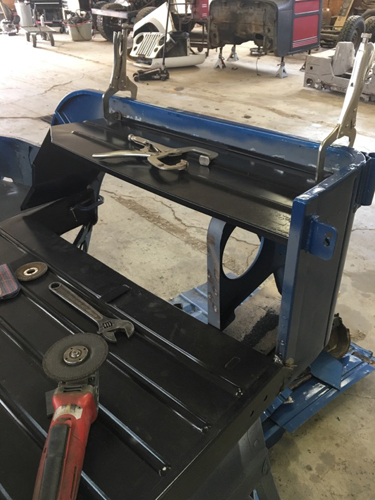 It is with great pleasure that I heartily recommend the art an artistry of restoration by Bruce Uher and his team at Specialty Jeeps Coshocton ,Ohio. 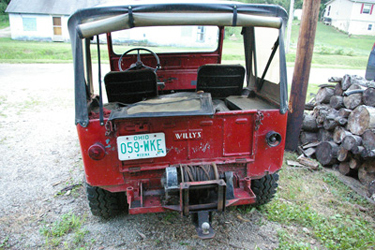 Our Willy's MB has been in our family since 1945 . 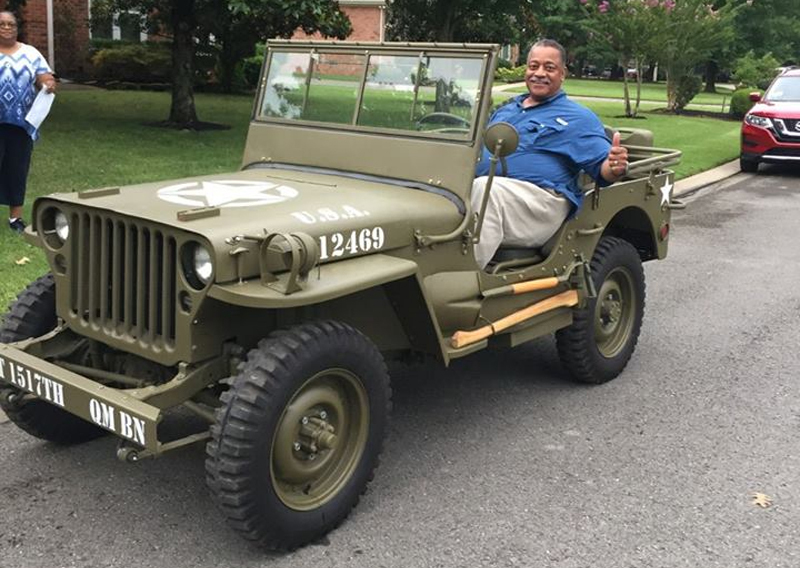 This Jeep was purchased as army surplus by returning D- Day veteran William "Bill" Powell. 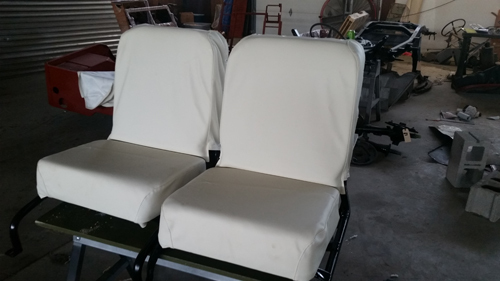 Bill's dream was to build his own golf course for the enjoyment of everyone, regardless of race. 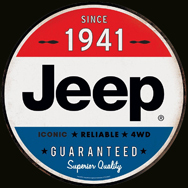 Clearview has since been recognized as a national historic site and a tribute to the American spirit. 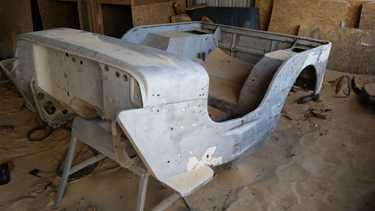 You can understand that we were very cautious in selecting the resource to resurrect this heirloom after 30 years or more in the barn. 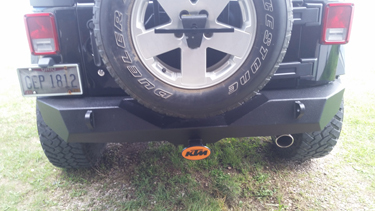 Bruce and his crew did not disappoint us. 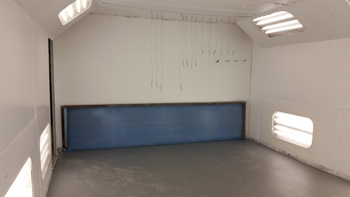 Their completed work was a combination of artistry and magic that had all of us with a tear in our eye and pride in our heart. 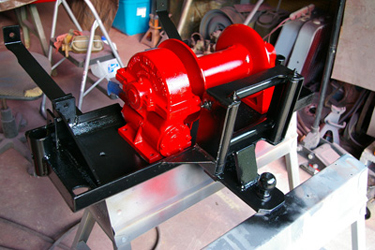 If you are considering someone to turn your precious possession into a work of art. 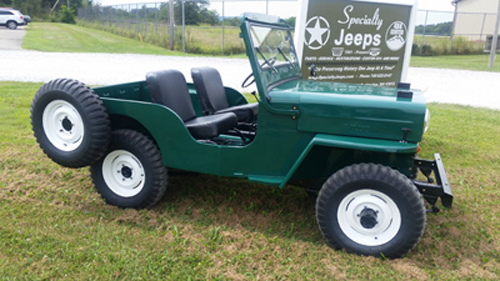 Look no further than Bruce Uher and Specialty Jeeps. 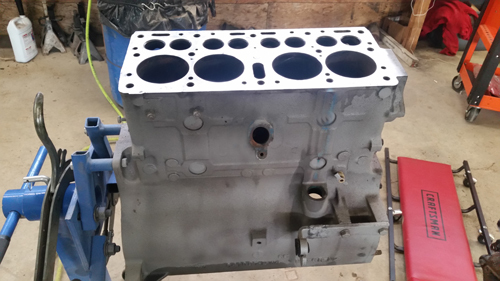 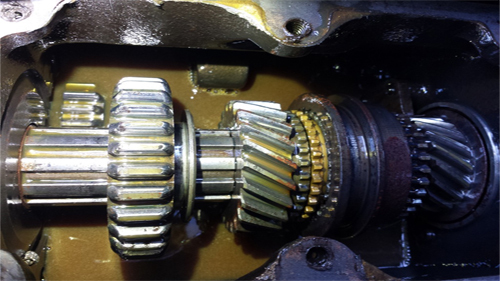 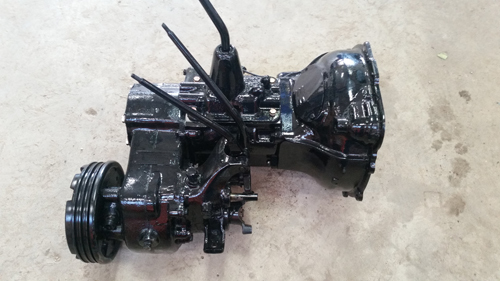 We have the ability to rebuild any component on any Jeep including engine rebuilding, transmission, transfer case, axles starters, generators and carburetors. 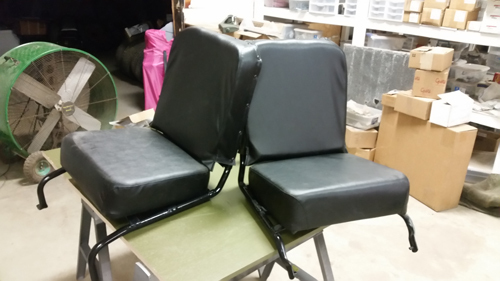 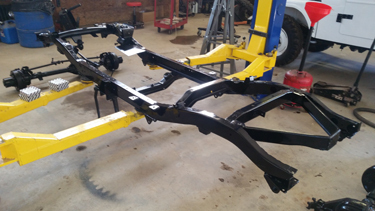 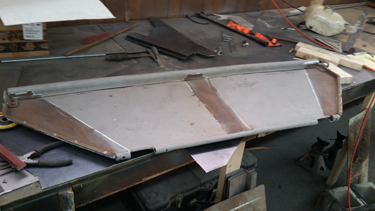 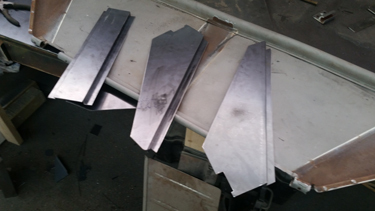 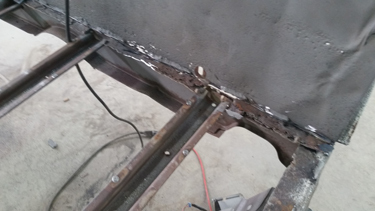 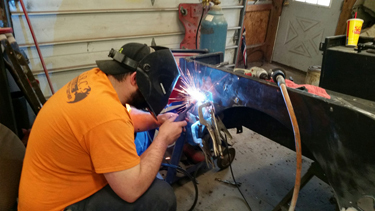 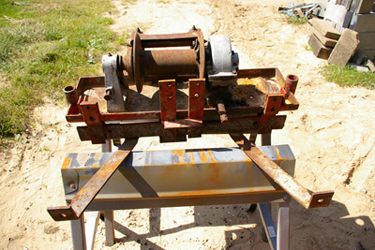 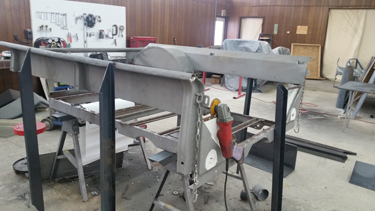 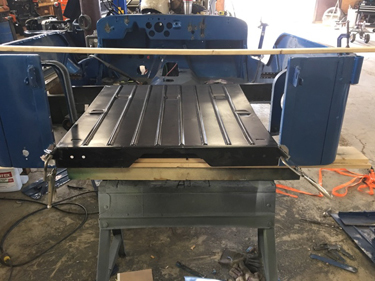 Our fabrication shop can pretty much fabricate or repair any metal part on any Jeep or trailer. 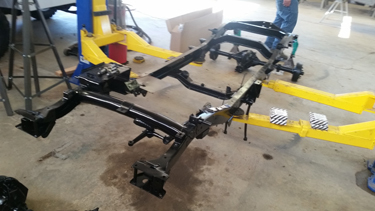 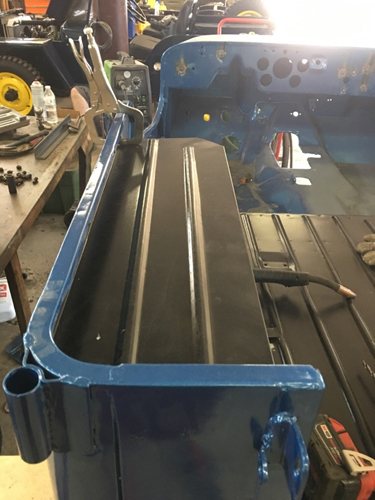 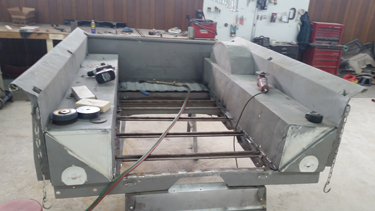 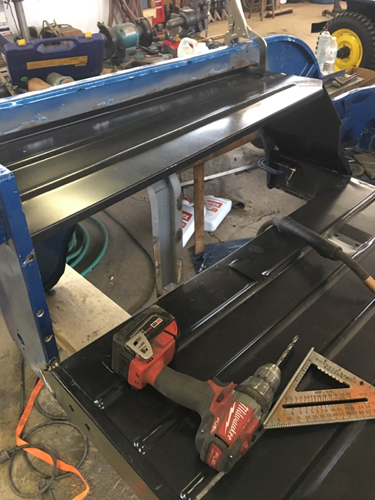 We repair frame rails, replace body panels, re-construct body panels and have even completely made truck beds from scratch. 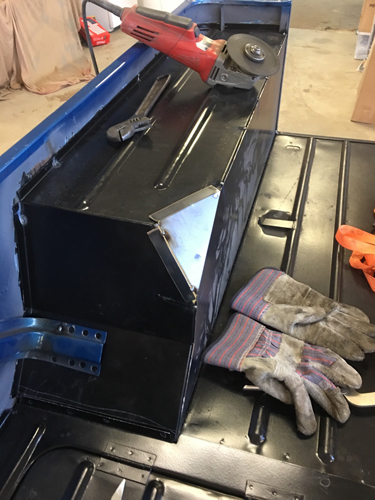 We have the newest thechnology in welders that allow is to weld any kind of metal including steel, cast, aluminum, and many more. 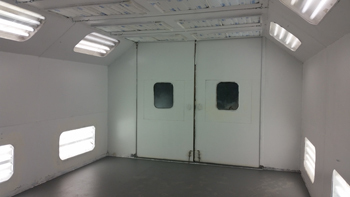 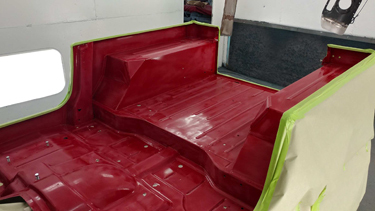 We have in our body shop a state of the art down draft OSHA approved temperature controlled paint booth to ensure the best finishes possible. 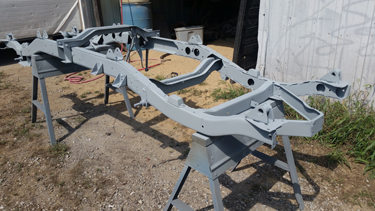 When we restore a military vehicle we still use the original paint from the original paint manufacturer to paint the vehicles. 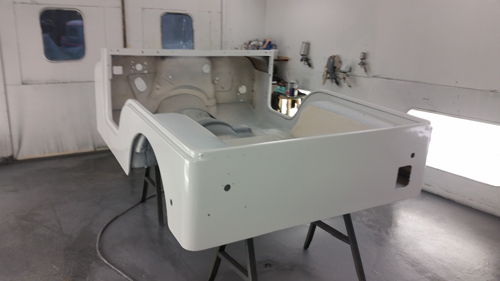 When it comes to newer vehicles and civilian vehicles we use the highest quality paint and materials and we can match any color on any vehicle. 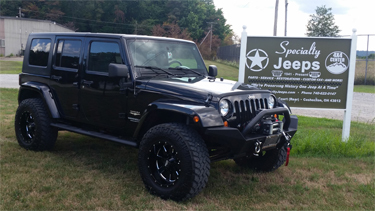 Looking to get your Jeep or truck ready for the next four wheeling season? 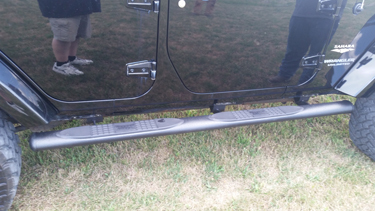 Many consumers are turning to raptor liner to protect their vehicles. 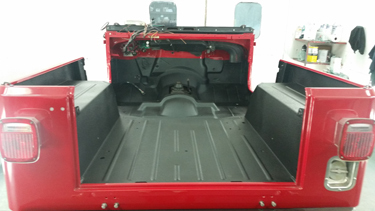 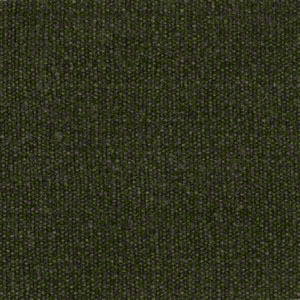 Theyve quickly become one of the bestselling spray of bed liner manufacturers on the market. 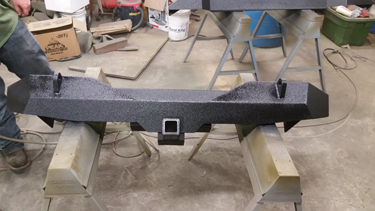 Raptor liner is an all-inclusive product that will protect your investment. 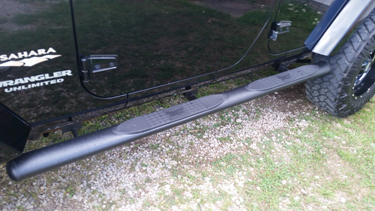 Once installed, it dries into an ultra-hard coating that can protect bare metal from chips, scratches, and the inevitable rust that comes along with it. 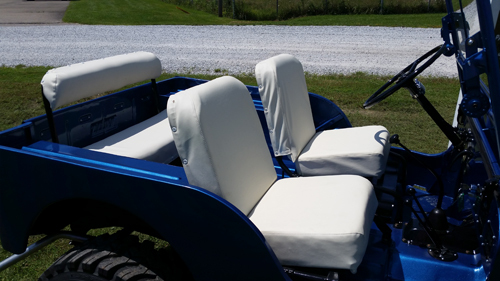 What separates them from competing products is the look and feel. 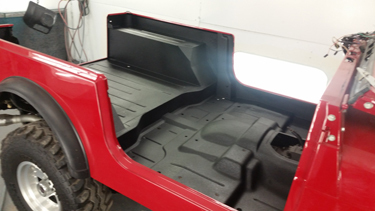 The first generation of bed liner was actually molded plastic that would sit inside your box. 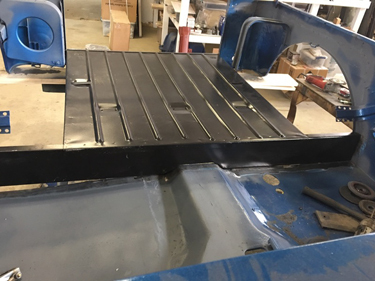 The disadvantage to this system was that bed liners had to be pre-manufactured for certain vehicles, and the cost of shipping made them prohibitively expensive for many consumers. 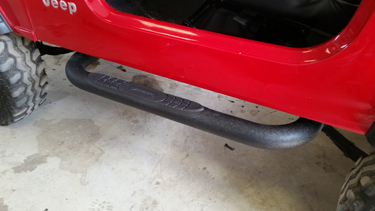 But this product uses a spray-on formula that bonds directly to the contours of your vehicle. 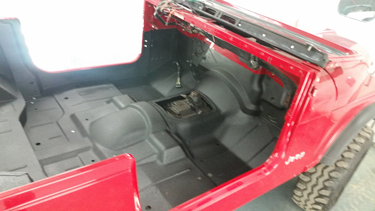 Because there is no air gap, less cargo space is lost. 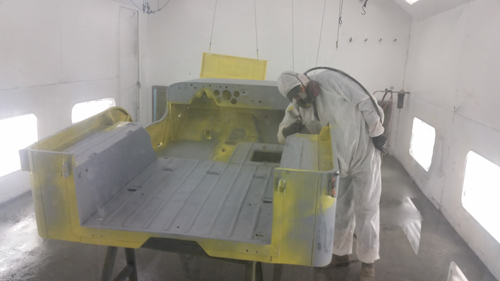 Because it comes in a spray, Raptors unique chemical formula allows them to bond the material with a number of dyes and pigments, so you can get a color that matches the paint of your vehicle. 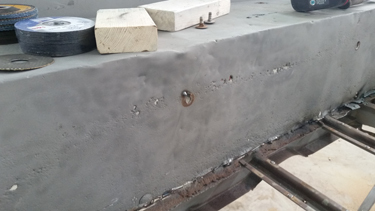 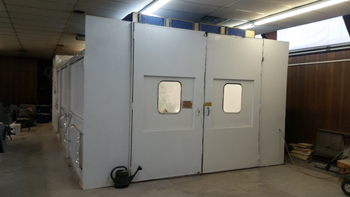 We have our own sandblasting booth with a very high powered blasting system that delivers up to 180CFM air pressure which allows us to remove numerous coats of paint no matter how hard the material is to remove. 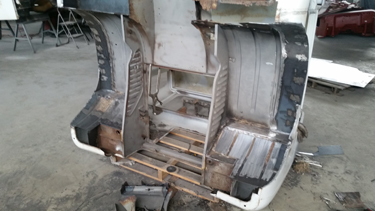 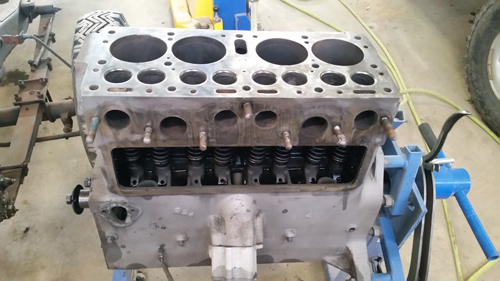 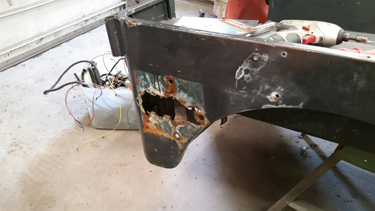 We also have a state of the art blasting cabinet that mainly uses crushed glass bead that allows us to blast even delicate parts such as carburetors and engine components.